Working on moving into a new house. got home and found these beauties in the mailbox. 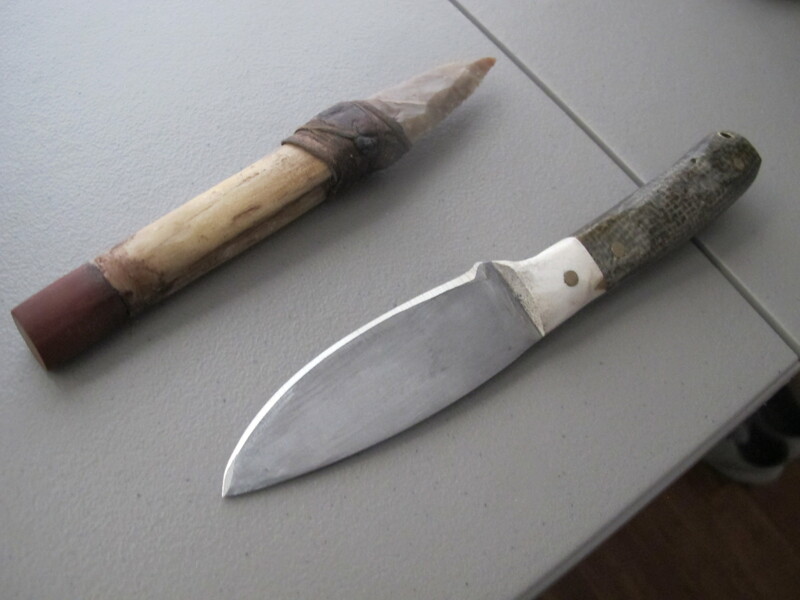 the native american style knife is deer leg and pipestone end cap the point is jasper. the skinner is homemade burlap micarta with deer antler guards.